F.I.T. Comfort Deck has the surface pattern loved by all with the benefits of F.I.T.!! The highly textured surface design provides extra traction in slippery conditions. The tiles feature an open-hole design that allows for quick drainage resulting in a drier standing area. The unique nub pattern provides the ultimate comfort and anti-fatigue surface for your Industrial Athletes to stand on. You can easily cover and customize any work space and the tiles provide anti-fatigue benefits making your employees healthier and more productive. Think outside the box. A simple, compact and versatile wet area matting solution. F.I.T. Kits is a remarkably simple, compact, and versatile matting solution for nearly any environment. Each kit contains all the components for a complete mat. Snap it all together in 5 minutes or less (no cutting or tools required), and you’ve got an ergonomic workstation that’ll last for years. When you’re ready to think outside the box, F.I.T. Kits is the answer. The most versatile 12″ x 12″ (30 cm x 30 cm) interlocking ergonomic flooring system in the market. The patented LockSafe connections simply snap together and configure to fit your exact workspace. F.I.T. 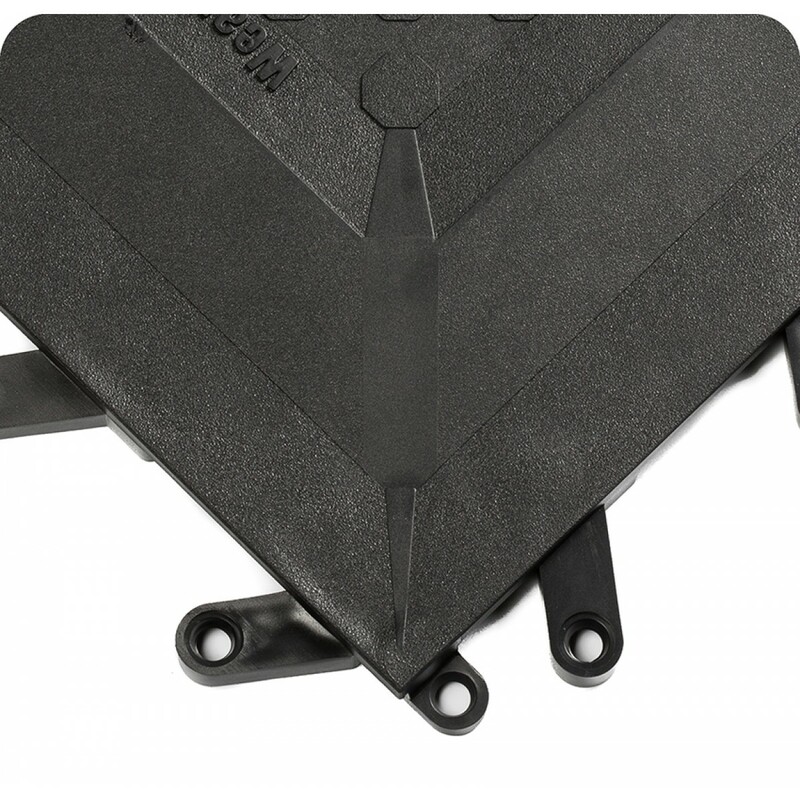 Open features an open-hole design that allows for rapid and complete drainage of fluids. 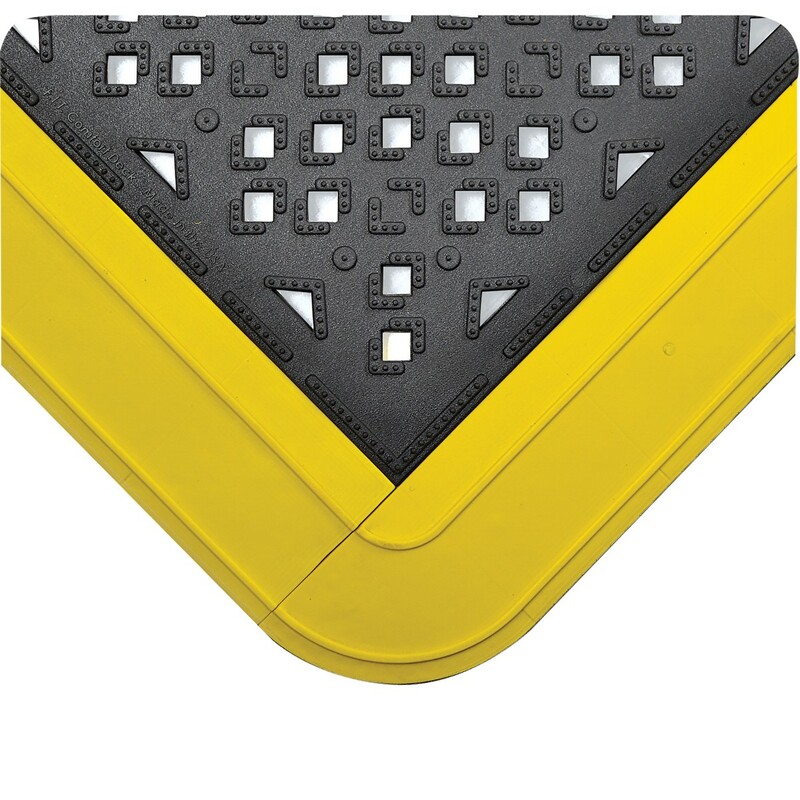 The surface slants towards the holes to facilitate quick drainage and to assure a safe, dry standing area for the worker. 100% silicone free PVC tiles. Beveled ramps available to finish the perimeter of any F.I.T. installation. Use F.I.T. Open to convert wet and dirty floor areas into ergonomic work zones for your team. F.I.T tiles are 12” (30 cm) x 12” (30 cm) and often referred to as “ErgoDeck Lite”. Use F.I.T. to cover smaller spaces because it will require less cutting and customization. F.I.T. is also an alternative solution when the budget is tight. F.I.T. 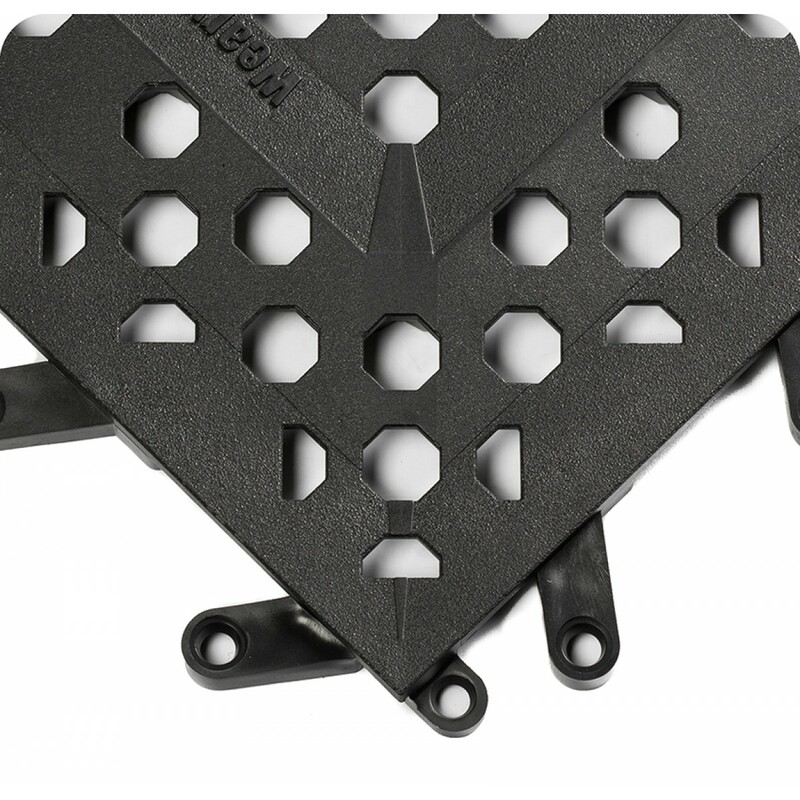 features our patented LockSafe® Positive Interlocking System that prevents separation during use and can be easily unzipped to replace single tiles or sections as needed. Thanks to versatility and durability, the F.I.T. system can be used for many otherwise challenging applications. Tiles can be cut and reconnected every three inches to “fit” around columns, equipment or other obstacles. Cover a less-than-ideal floor (such as cracked concrete) to provide standing relief, safety underfoot, and traction for workers — not to mention world-class aesthetics. Assemblies of F.I.T. can also be rolled up without coming apart, making it an ideal solution for areas that require frequent cleaning. F.I.T. 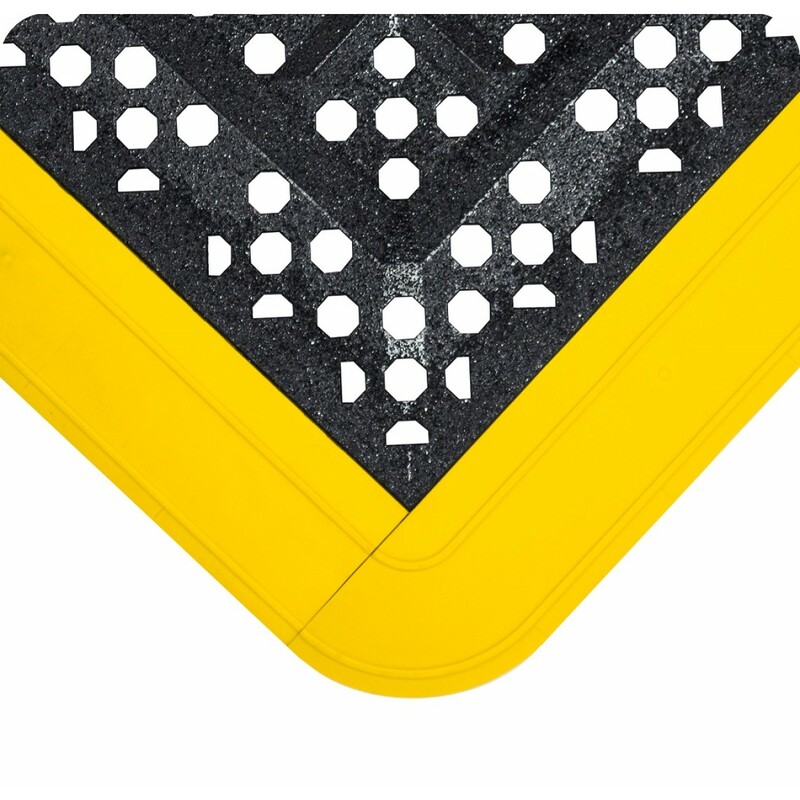 Open with GRITSHIELD provides an extra level of traction in wet and greasy environments that are prone to slips & falls. Especially suitable for areas with lots of moisture and liquid runoff. Stop preventable accidents through the proper usage of F.I.T. Open with GRITSHIELD. F.I.T. 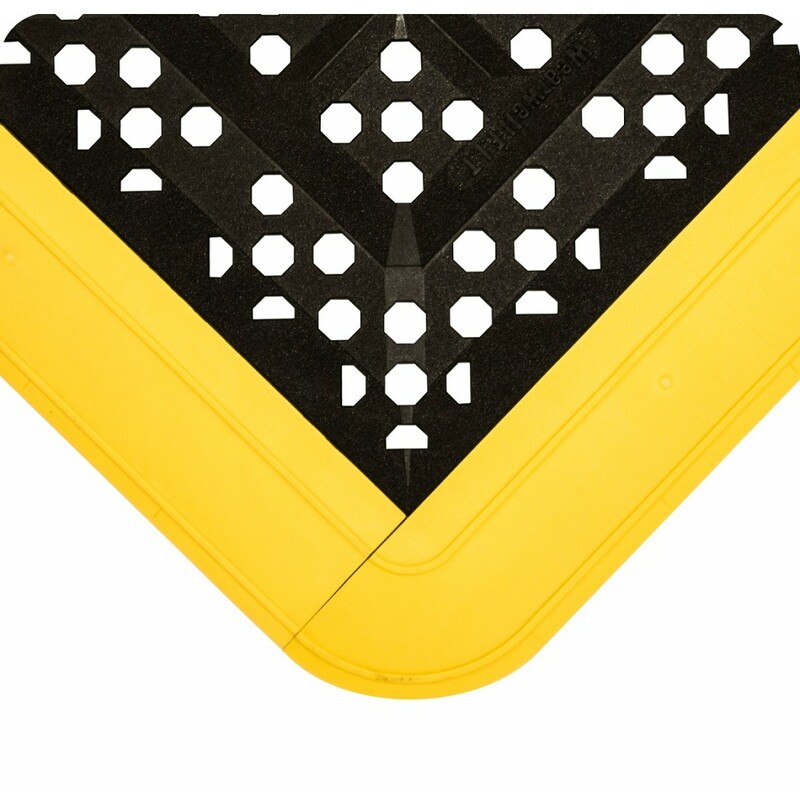 Solid with GRITSHIELD provides an extra level of traction—and floor safety—in areas that are prone to slipping and falling. Solid in design, these tiles are best in areas that remain primarily dry…with only modest moisture and overspray. Stop preventable accidents through the proper usage of F.I.T. Solid with GRITSHIELD. Think outside the box. 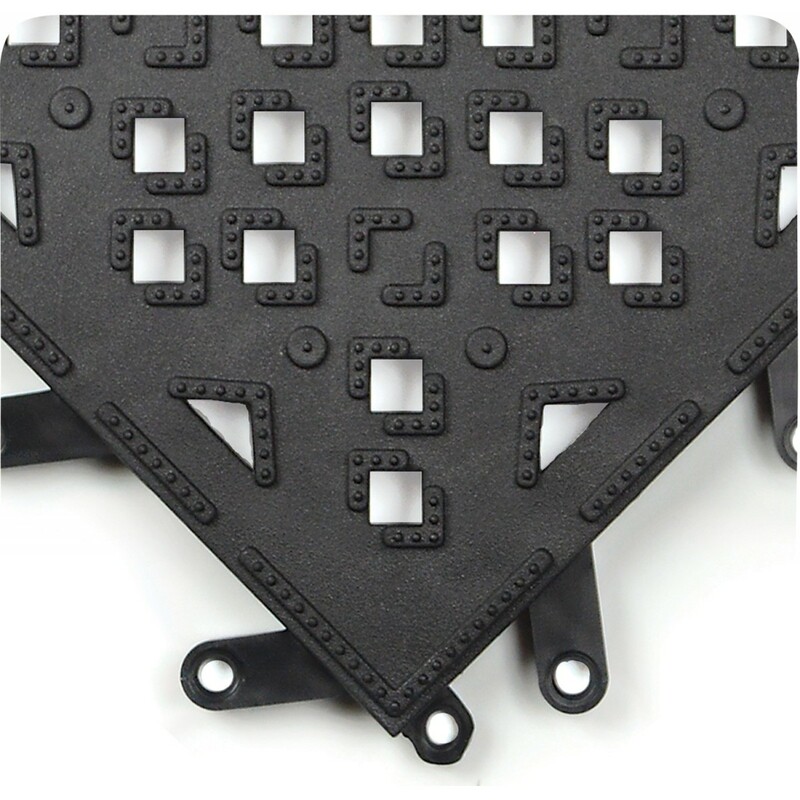 A simple, compact and versatile wet area matting solution with 40% more traction. F.I.T. Kits is a remarkably simple, compact, and versatile matting solution for nearly any environment. Each kit contains all the components for a complete mat. Snap it all together in 5 minutes or less (no cutting or tools required), and you’ve got an ergonomic workstation that’ll last for years. When you’re ready to think outside the box, F.I.T. Kits is the answer. Think outside the box. A simple and compact emergency area solution. F.I.T. 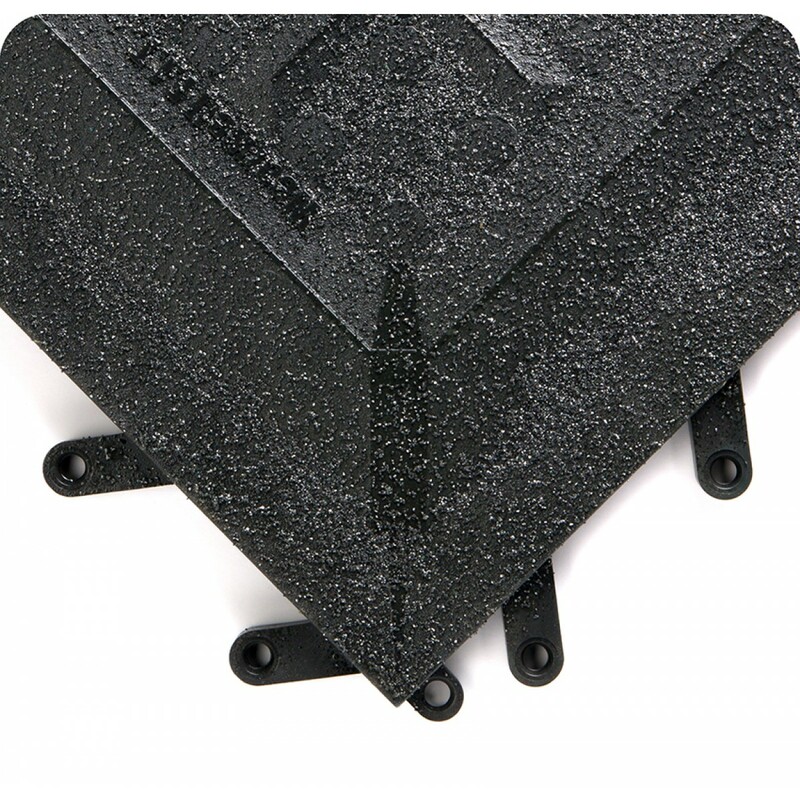 Kits is a remarkably simple, compact, and versatile matting solution for Eyewash Stations. 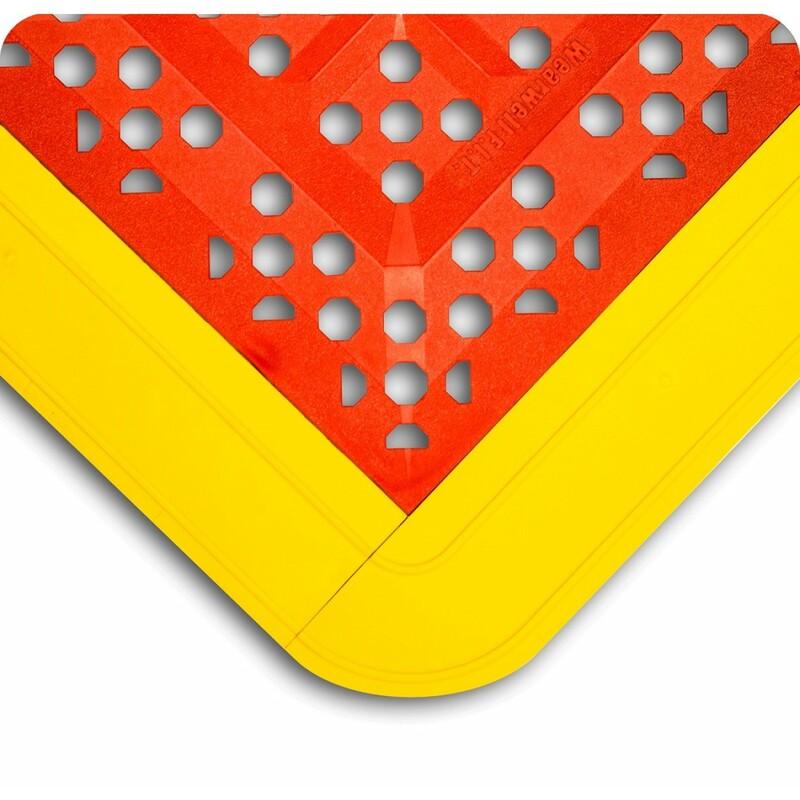 Features high visibility yellow borders and elevate user above hazardous overflow in critical situations. .F.I.T. Kits for Emergency Stations is a must for virtually any facility. Think outside the box. A simple and compact emergency area solution. F.I.T. 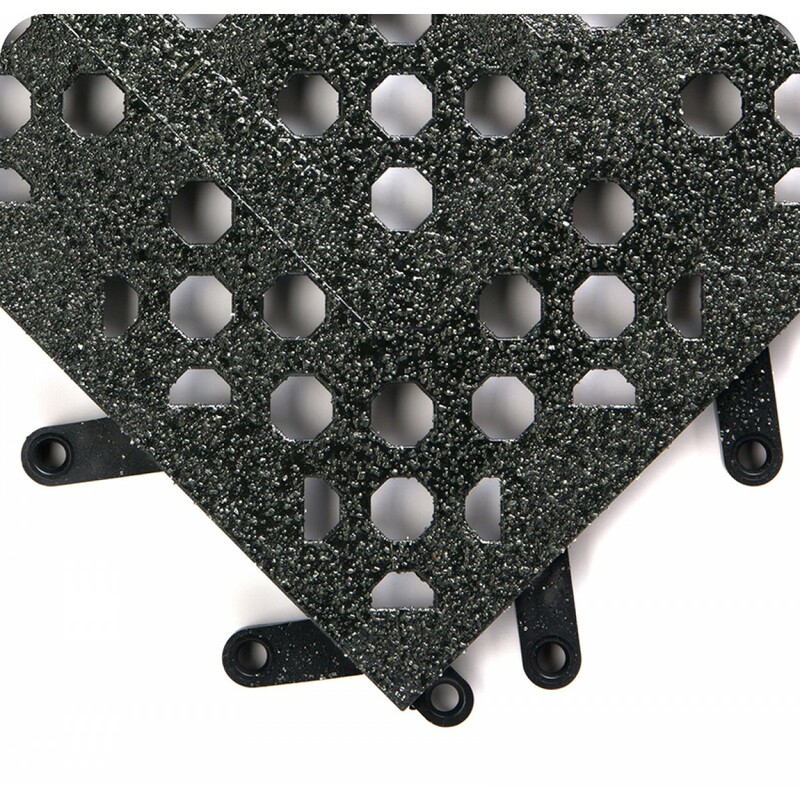 Kits is a remarkably simple, compact, and versatile matting solution for Emergency Showers. 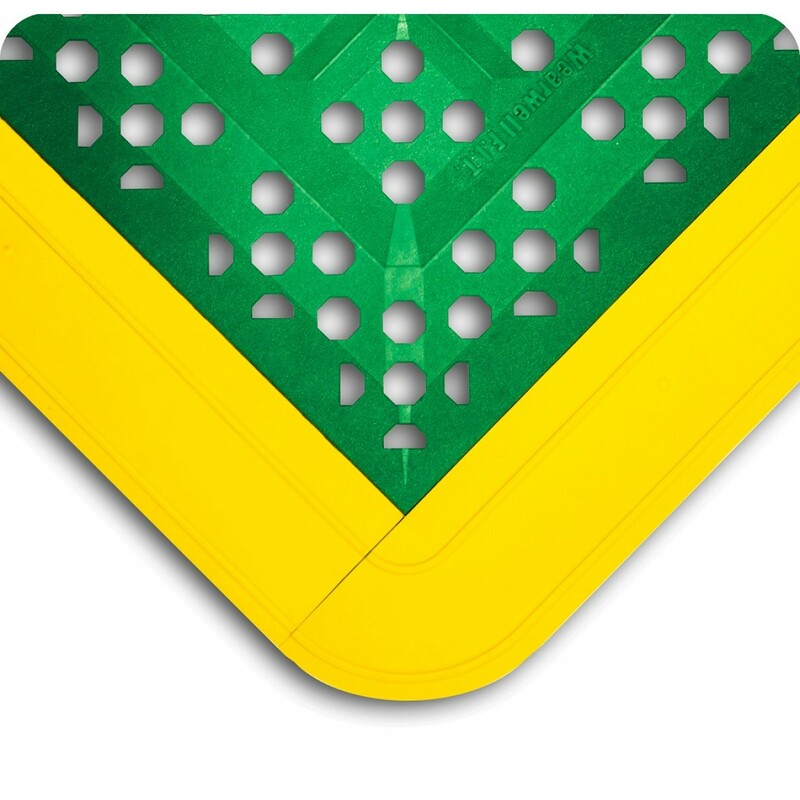 Features high visibility yellow borders and elevate user above hazardous overflow in critical situations. F.I.T. Kits for Emergency Stations is a must for virtually any facility.